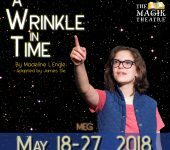 See the movie, then see A Wrinkle in Time live onstage! 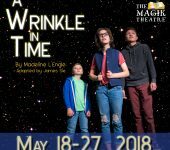 School Performances: May 18, 2018 and May 25, 2018, 9:45 am. 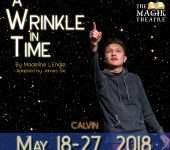 Adapted from the Newbery Award winning book by Madeleine L’Engle who is known for works reflect that both her Christian faith and her interest in science. 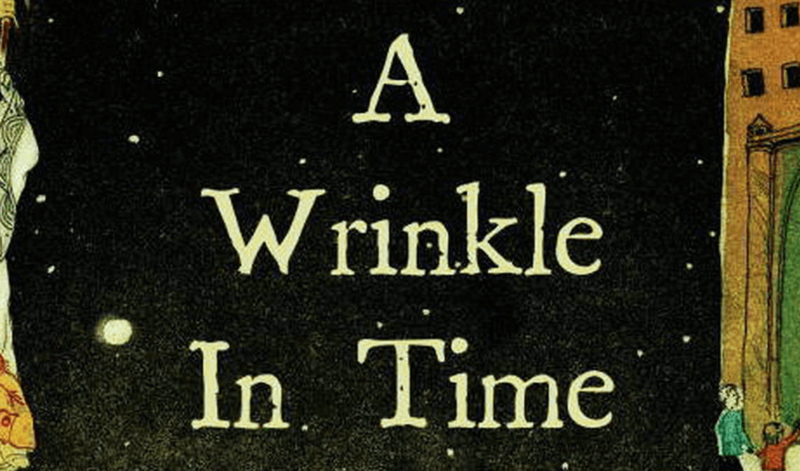 This young adult novel is a coming of age classic, a sci-fi fantasy favorite, and a moral examination of good and evil. In addition to the Newbery Award, it’s the winner of the Sequoyah Book Award, the Lewis Carroll Shelf Award, and was runner-up for the Hans Christian Andersen Award. Ever since her father vanished under mysterious circumstances, Meg Murry’s life has been spiraling out of control. But one dark and stormy night, Mrs. Whatsit appears to bring her on a magical and dangerous adventure to bring her father home. 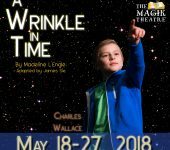 Join Meg, her extraordinary brother Charles Wallace, their pal Calvin, and a host of extraterrestrial friends and foes as they journey into the heart of a terrible evil in the hope of reuniting a fragmented family. This heartwarming adventure across the stars is adapted for the stage by James Sie. Show run-time is approximately a little more than two hours with an intermission.